If you are looking to buy an electric pressure cooker, these tips will put you on the right track for a smooth purchase. Preparing food with water or any other liquid in a sealed container which is under pressure is called “pressure cooking.” Electric pressure cookers use electricity to cook food instead of other sources of fuel. If one wants to save time and energy, an electric pressure cooker is a great choice. Unlike conventional methods of cooking, an electric pressure cooker prepares food faster. They can be used to cook several foods together in the same pressure cooker by using accessory pans or steamer baskets. Below are some tips if you want to buy an electric pressure cooker. To buy an electric pressure cooker one has to consider the size of the family. These electric pressure cookers are available in variety of sizes and designs to make cooking easy. Assess what you require before buying one. 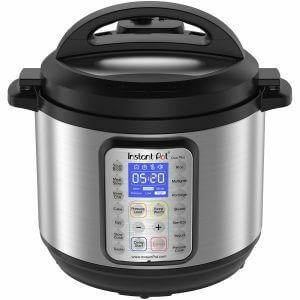 A small pressure cooker of about 4 quarts is sufficient for small meals, but for a family of 4 or 5, it may require a 5 to 8 quart pressure cooker. Ensure that the size is adequate enough but not too big. For an electric pressure cooker to work properly, it needs to be filled to two-thirds of its capacity. An electric pressure cooker is a long term investment. A good quality, stainless steel pressure cooker will last8-quartout 25-30 years, or even longer, depending on the maintenance done by the owner. The inner pot in the pressure cooker is a removable cooking pot. It is normally made out of aluminum or stainless steel. The aluminum inner pots are available stamped and buffed or anodized, but aluminum is unsuitable for the dishwasher. Higher quality stainless steel inner pots are also available and are made out of three-ply or copper-clad bottoms for uniformed heating. Most people who want to buy an electric pressure cooker prefer stainless steel pressure cookers over the aluminum ones for the simple reason that it’s easy to clean and it doesn’t absorb odors and flavors as readily as aluminum pressure cookers do. Further, aluminum is a softer metal with pits and stains, and doesn’t have as long of a life as stainless steel pressure cookers do. Normally, the size of the inner pot determines the size of the cookers and, to some extent, also determines the price of the cooker. The inner pot capacity usually ranges from 3 liters (3 quarts) to 6 liters (6.3qts). A pressure cooker above a 6 liter capacity is difficult to maintain and can be very expensive for some consumers. So, keep the budget in mind if you want to buy an electric pressure cooker. Normally an electric pressure cooker operates at a pressure ranging from 8 to 15 psi. This means it operates at a temperature of 212°F to 257°F, irrespective of the altitudes. So, by buying an electric pressure cooker you can cook food at 257°F, which cannot be achieved by traditional methods of cooking. One can choose the desired pressure level depending on the food to be cooked, by pressing high or low pressure buttons available on the control panel and then setting the desired time. It cooks the food for the specified time and then beeps, indicating that the food is ready.